The disciples wondered who this was, who was able to command the natural elements. Yet he promised that those who believe would one day do greater works than these (John 14:12). Indeed, there is a wonder-working power at work within us. 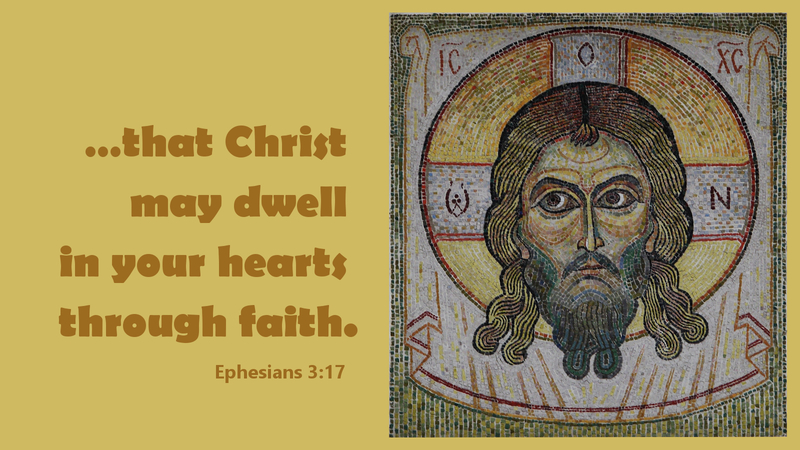 The Holy Spirit is working powerfully in our inner beings to bring about the greatest miracle: that Christ may dwell in our hearts through faith. This promise is not merely for the strong and wise among us, for God has chosen the weak and the foolish to shame the strong and wise (1 Cor 1:27). Nor is God’s promise only for those who seem beautiful to us, for the Lord looks at the heart, where his Spirit is at work producing faith. The result of his Spirit’s work is that God is doing more in our lives than we could possibly conceive, let alone think to ask of him in prayer. He is producing faith that moves mountains (Matt 17:20), that calms the storms of life, and that follows him wherever he leads. Prayer: Precious Lord, take my heart and hand, and lead me through the storms of life. Amen.